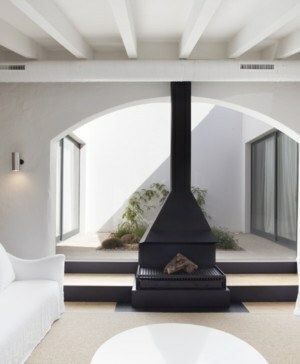 The new metals are present in all kind of applications. 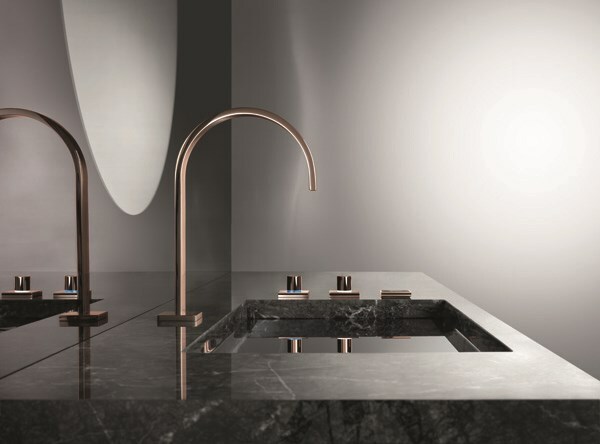 Dornbracht for instance just added to their catalogue a new galvanized finish to their bathroom fittings series MEM and Tara for the kitchen. 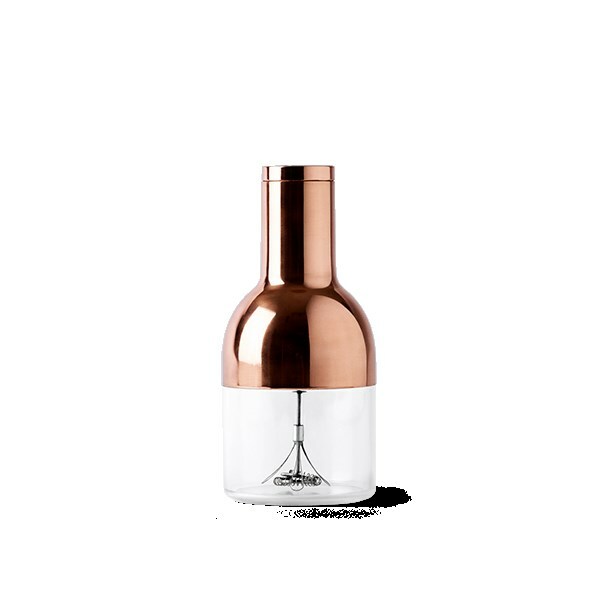 It is called Cyprum, from the word Cuprum -copper in latin- and it is an 18-carat gold-based glossy finish made with authentic copper. 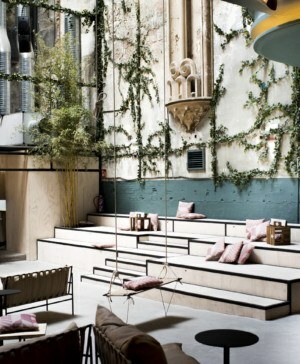 Its pink-gold tone breaks with the prevalence on interior design seen over the last years of cold tones, from white to metallic. 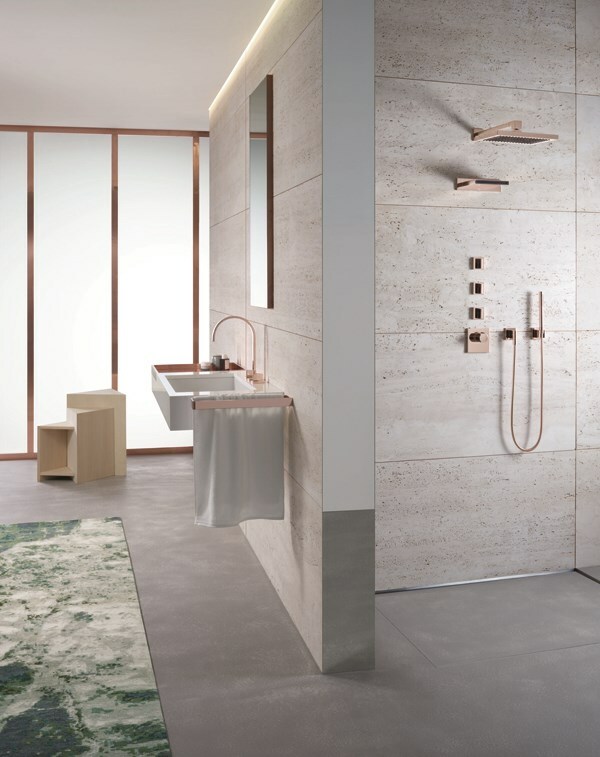 These new designs by Dornbracht allow a new style permeated with warmer tones and more elegant materials. 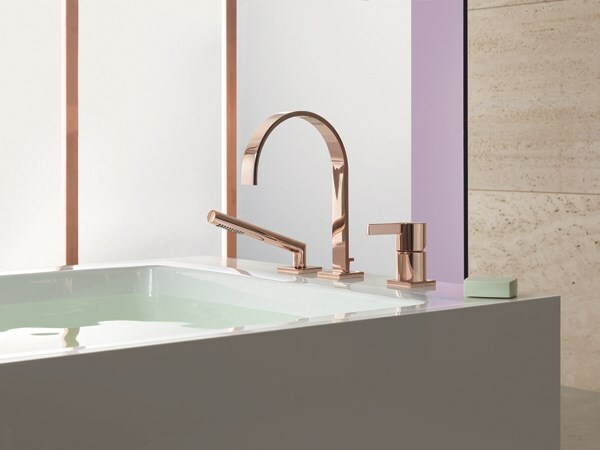 Copper is in particular a colorful and modern, fine material that contributes to get an appearance of great quality and character. Besides of being in the bathroom, copper is also present in the kitchen. The prestigious firm La Cornue is celebrating this year their 50th anniversary of its crown jewel, the series Château, produced only by order and custom handcrafted according to the clients requests. 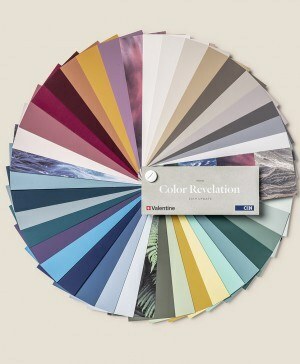 Among its many finishes and colors, it is available in chrome, nickel, brass or copper. 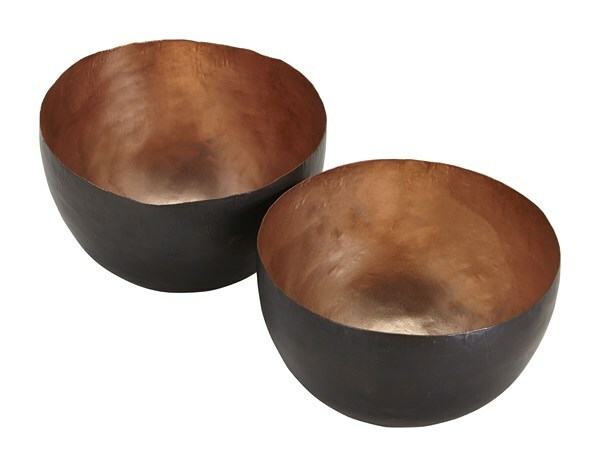 Also, most of brass and copper applications can be seen on all kind of home accessories. 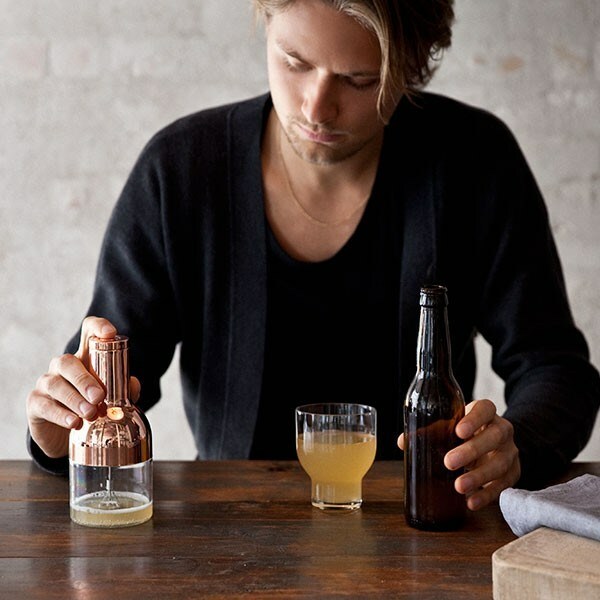 Scandinavian brand Menu has gone seriously for this trend on its last catalogue, full of proposals of this kind. 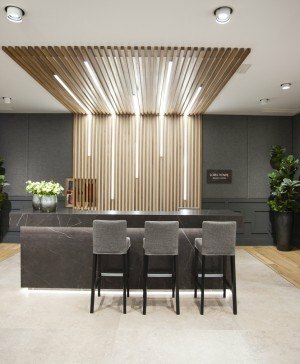 Norm Architects, for instance, just sealed their partnership with the danish brand with a range of products that use brass or copper-toned finishes. 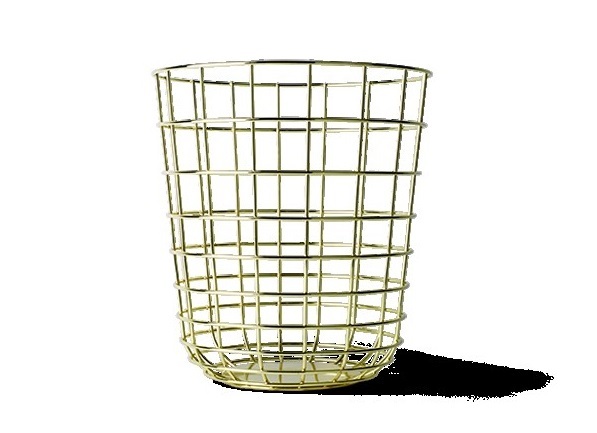 This is the case of Wire, a trash bin as simple as attractive that can be purchased in different finishes and colors, or Beer Foamer, a copper-toned finished gadget to obtain a frothy beer. 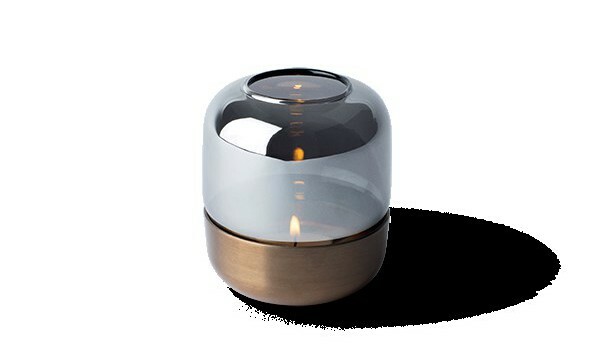 The danish studio is also behind Fire Hurricane, an antique style candleholder with a copper base combined with silver-finished glass. 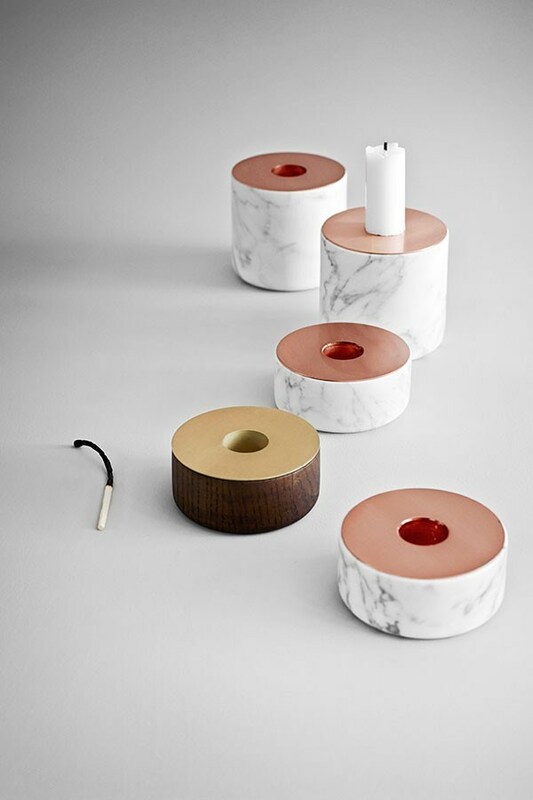 Moreover, Menu has included copper flashes in other new products like the candleholder collection Chunk, designed by Andreas Engesvik by mixing marble and copper-finished steel. 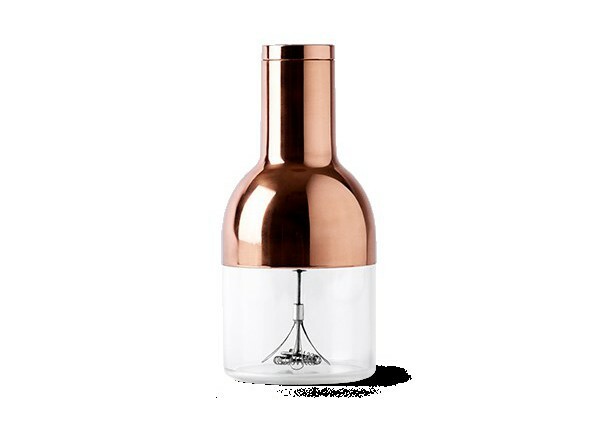 The use of copper and brass is in Tom Dixon quite a feature rather than a trend. 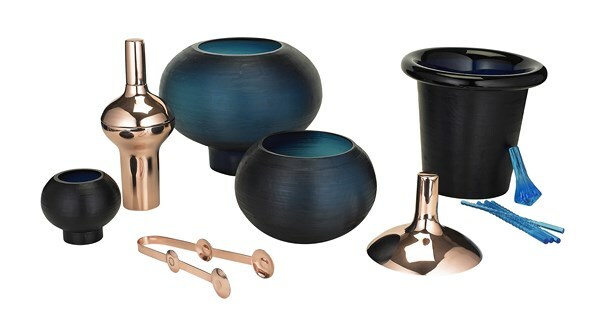 His most recent collection follows of course this line, including objects such as the bar accessory line Plum, combining hand-blown glass and copper. 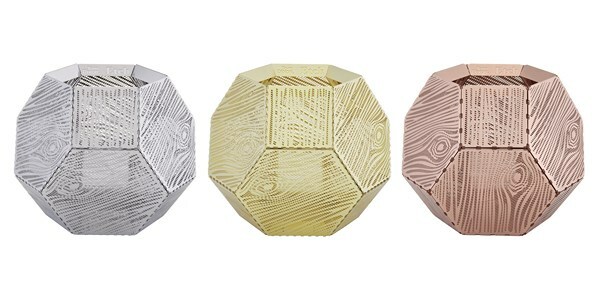 In addition, Etch is a collection of candleholders that beyond being made of brass, copper or stainless steel, feature a wooden-like texture and a pentagonal structure that projects delicate shadows. 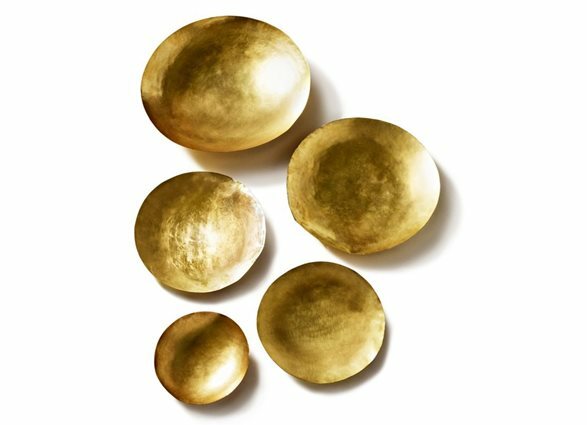 Tom Dixon has also recently introduced the Form bowls, combining a handcrafted, thin copper sheet, and the brass-made centerpiece Bone, featuring geometrical lines. 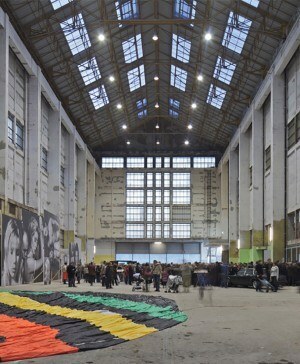 On the lighting field there are many examples of this metallic comeback. 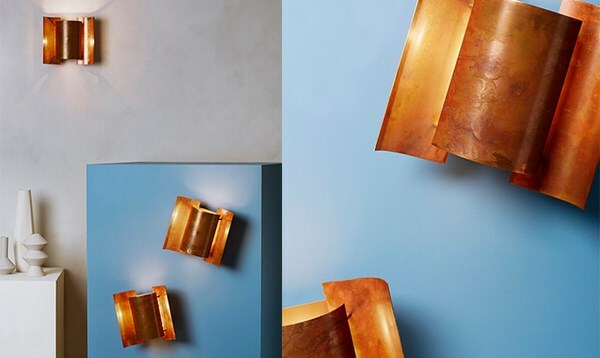 Northern Lighting has relaunched the wall lamp Butterfly, a 1964 design by Sven I. Dysthe now also made with a copper shade which rusts and changes its color over time, something that turns each lamp into a unique design. 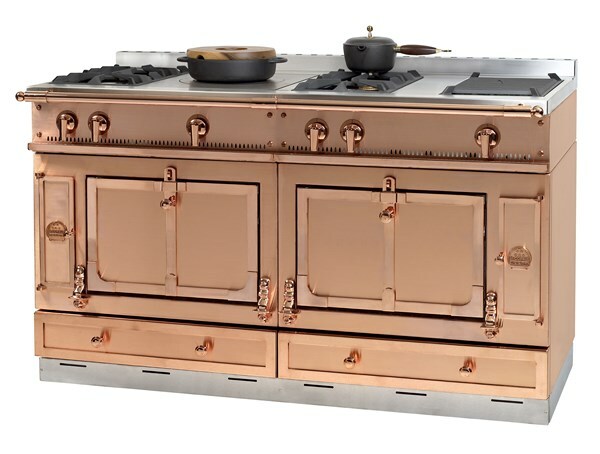 Another brand that has decided to incorporate copper to its catalogue is &Tradition. 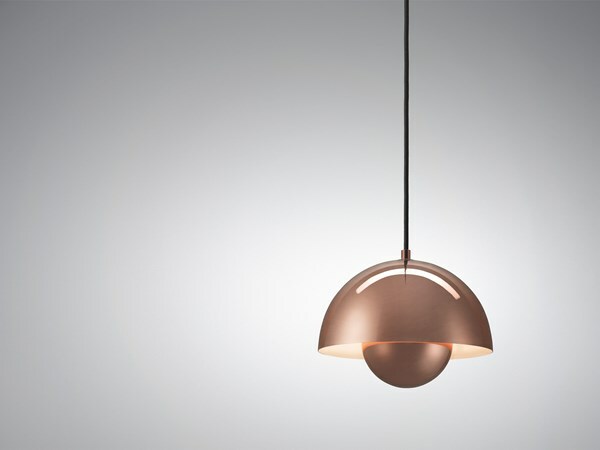 One of their latest new products is the lamp series Flowerpot, designed by Verner Panton combining two semi-spheres made of lacquered copper and available in a natural tone finish or in multiple colors. 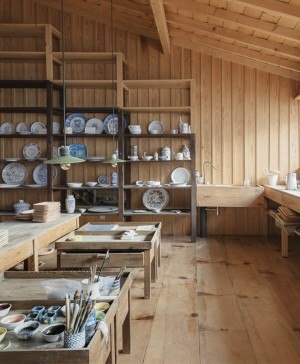 &Tradition also produces the Utzon Lamp, in which architect Jørn Utzon -whose masterpiece is Sydney’s Opera House- projected his fascination for his father’s naval maps. 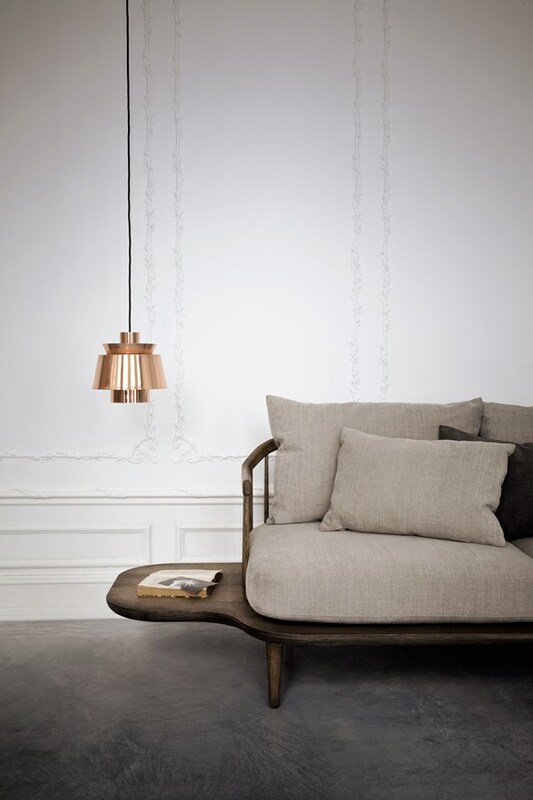 This suspension lamp features a copper shade with finishes in white, copper or brass. 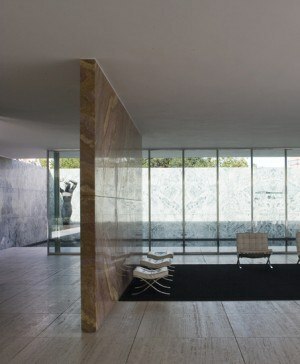 Finally, an interior design project in which metallic shine is the main source of inspiration. 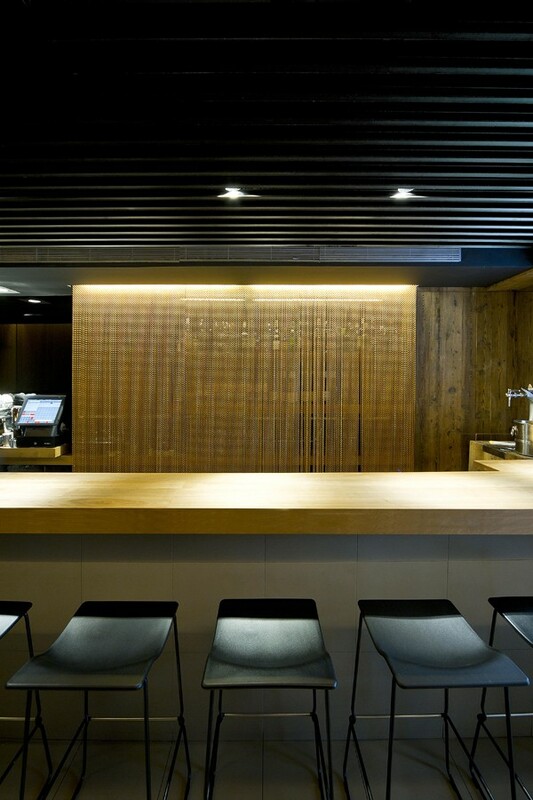 In 2012 Alfons Tost created a restaurant in Barcelona actually called Coure (copper in Catalan). 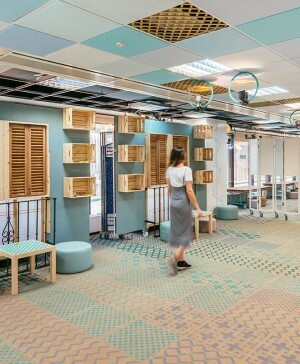 The effect in the atmosphere was achieved thanks to the anodized aluminum and copper-toned screens by KriskaDecor. 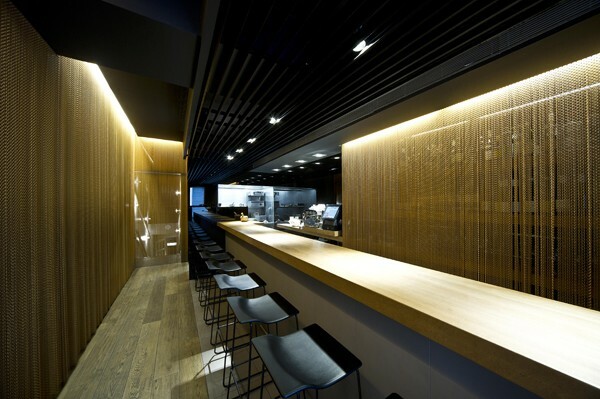 Read the article about Coure Restaurant by designer Alfons Tost on diarioDESIGN.